15 Shadybrook Lane is one of those homes you didn't even know was there, tucked away off the beaten path, and yet so close to all the amenities you need. Driving up this private road, which you may not have even known was there, you drive along the quiet river, up to a set of homes tucked privately on the Darien border. Going all the way to the top and the back, you find 15 Shadybrook Lane, like the pot of gold at the end of a rainbow. The home is immediately recognized as well maintained, with the fresh flowers, mature trees and bushes that have been trimmed, and what is an ultra-private lot, with the back of Reynolds Farms on one side, and an empty lot in front, creating an escape for a future homeowner. Using the front door, you enter this ranch through a foyer with coat closet, and hardwood floors. 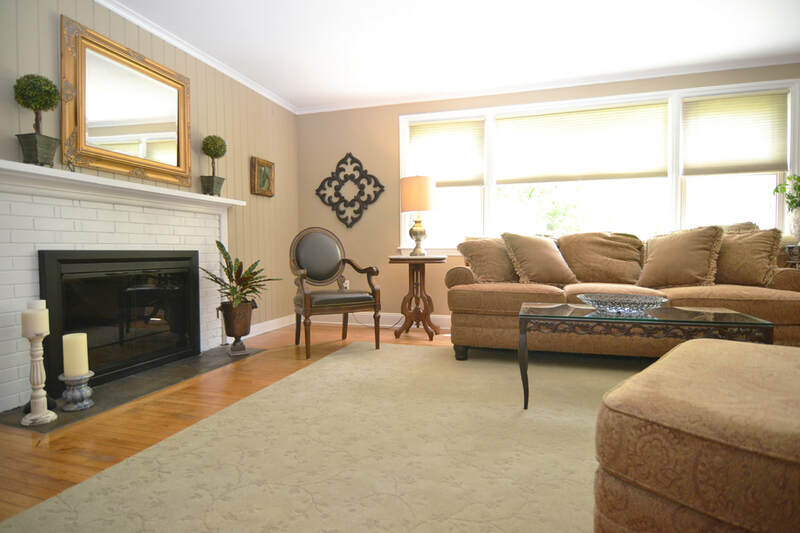 On your left are three large bedrooms, two with hardwood in amazing condition, and the third with carpet that is protecting hardwood of the same condition underneath. Each bedroom has character indicative of the 1930's and 1940's construction era, where charm was infused into each home that was built. The bathroom these bedrooms share is in excellent shape, completely updated and with no need of further renovations. It has subway tile, and modern fixtures. Not a single update needed here. Back to the front door, and the large living room on the other side of this entrance. Also with hardwood floors, this bright space has a fireplace that is the center of the room, and large windows making it feel even bigger. The next room is a formal dining room that also leads to the basement, and then, the kitchen. This dining room also has hardwood floors, and plenty of space for a large table and hutch, if you choose. 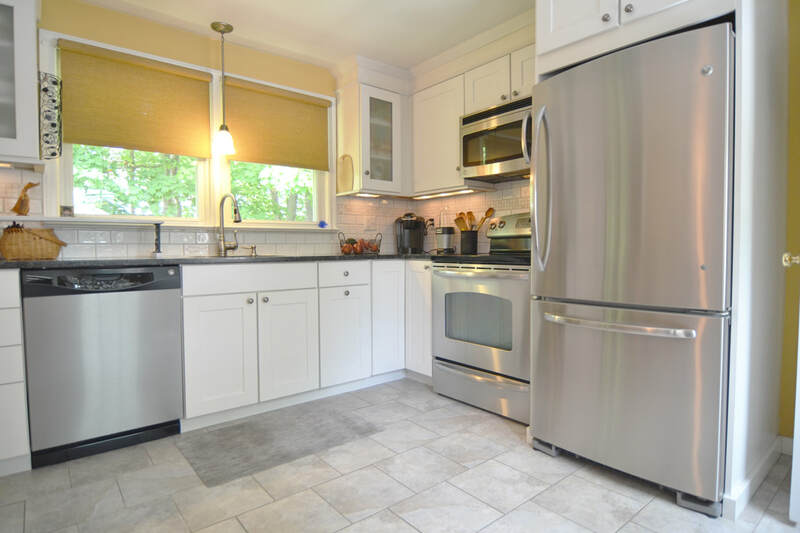 The kitchen is also fully updated, with stainless steel appliances, and granite counters. There is a door to the front deck, and driveway, perfect for summer entertaining. You need not touch this eat-in-kitchen, which has been maintained pristinely by the owner. Just put your own table, and start to fill the fridge. There is also a bonus fourth bedroom, or den/office near the kitchen, with another full bathroom that is also completely updated. This bonus bedroom is an ideal location for an au-pair suite, a guest bedroom, or your comfy, bright family room. The basement, which is accessed off the dining room, has the entire floor plan of the home, with high ceilings, an ideal space to be finished in the future. With a sump pump as a preemptive measure for water, there is no concern that the basement will become wet. The basement also has your laundry down here, and if finished, a great place for a laundry room. 15 Shadybrook Lane is a home that is meticulously loved by the current owner, and has only seen one owner since it was built. The whole neighborhood is about the same, with the owners having lived there for a few generations. ​This particular lot is unique in that it is at the end of a private road, and the only traffic through are those to visit this home only! Your private oasis awaits! 15 Shadybrook is perfect for today's buyer, with a combination of privacy and immaculate condition. Move-in ready, this ranch-style home has hardwood floors, a bonus bedroom, large living and entertaining spaces, all set on a well-maintained and mature exterior nature-land.